“Every child, every day at Waterway!” Little did we know that such a small vision statement could hold so much power. 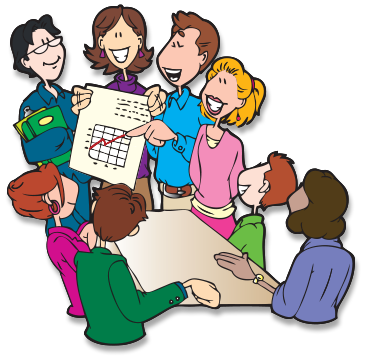 What we envisioned five years ago, as we rebuilt our school, has now come to life through the implementation of Kagan Cooperative Learning structures. Although we developed this mission statement long before we implemented Kagan Structures, we realized in our school of nearly 700 students—each with specific needs and challenges—that our students needed several essential elements to be successful. For the 2014-15 academic year, our school was restructured from an intermediate school housing grades 4 and 5 students to a preK-5 school. Students and teachers were now brought together from 3 area schools into one. We received a group of second-graders that were, simply put, challenging—behaviorally and academically. As second-graders, only 64% met their MAP reading goals and only 68% met their math goals. Moving into their third grade year, these students’ scores and behavior choices continued to cause teachers concern. They struggled to work independently on any academic tasks and had difficulty completing assignments. Only 68% of these third grade students met their MAP reading goals, but 79% managed to reach their math goals. These scores ranked Waterway fourth grade students #1 for reading among 27 schools in the district and #2 in the district for math. Teachers had made significant progress and students made astounding academic growth with the use of Kagan Cooperative Learning structures! However, Waterway Elementary started the 2016-2017 school year with a new focus on utilizing Kagan Cooperative Learning structures within the classroom. Students began to participate more due to teambuilding and P.I.E.S. They gradually developed more self-confidence in their abilities. The academic results for this difficult group of students were inspiring. At the end of their fourth grade year, the percentage of students meeting reading goals soared to 80%, whereas 72% of these students met their MAP math goals. These scores ranked Waterway fourth grade students #1 for reading among 27 schools in the district and #2 in the district for math. Teachers had made significant progress, and students made astounding academic growth with the use of Kagan Cooperative Learning structures! Through all of the changes in our Title I school now housing students from child development through fifth grade, we knew that there must be an initiative that could help our building and students grow together into one powerful group rather than the isolated parts from which we all came. As can be expected, our students all now working with all different ages and backgrounds, student behavior at times was not what we envisioned for our school. During the 2015-2016 school year, one of our most challenging student groups was in third grade. They were defensive, resentful, and disrespectful. Overall, the only future they saw for themselves did not include a graduation robe with a tasseled hat. Their future was in the here and now and this group of third graders consumed themselves with social media, rumors, social standings, and belongings. This group of students desperately needed the addition of an initiative to help them bond and realize that they were a very important part of Waterway. Overall, there was a 29% decrease in referrals with simply one year of implementation. As this group of students left third grade and were promoted down the hallway to our fourth grade group of teachers, they had heard all of the rumors and worries about this group of students. However, this is also the year that our initiative with Kagan Structures began. As teachers were trained and began to model for other teachers, it was as though a wildfire had swept through our building. This movement incorporating all elements of P.I.E.S. was exciting for teachers and students alike. As the fourth grade teachers embraced this new method of engagement, the students began to thrive in their new surroundings. Suddenly, there was an increased focus on teambuilding and a concentration on getting to know your classmates like never before. It was not merely a suggestive feeling in the air, but rather a mandate. As a leadership team, we began to see a shift in these students both socially and academically. It was as though a switch had been flipped and repeat offenders were wanting to stay in class. 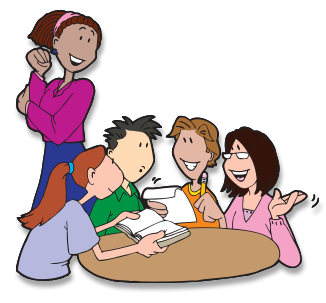 They were wanting to stay in class not only because they might miss something engaging and fun, but also because they knew they were part of a group that needed their input. Finally they were becoming a team. 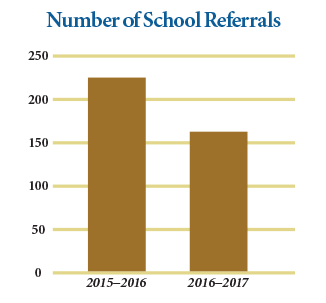 The School Referrals chart illustrates the discipline referrals for this group of students prior to and after implementing Kagan to help better show the growth in this group of students. Overall, there was a 29% decrease in referrals with simply one year of implementation. As the fourth grade teachers embraced this new method of engagement, the students began to thrive in their new surroundings. With the realization of the many benefits of Kagan Cooperative Learning, the Waterway leadership team wanted to expand upon our initial implementation for the 2017-2018 school year. We understood how essential teambuilding and classbuilding activities were for students to truly feel safe to collaborate, freely share ideas, and take on responsibilities in their learning teams. To ensure that all teachers were providing these opportunities, Kagan calendars were created that specified activities to be completed during each week for the recommended number of times for optimal results. In addition, packets were made with all the essential materials needed for students to complete each activity listed on the calendar. The provision of these materials was greatly appreciated by teachers who now felt prepared to devote time and resources to building community with these activities. Laughter and joy was heard down the halls with the participation in Silly Sports & Goofy Games for classbuilding. Because teachers and students were engaging in the same suggested activities, both adults and children enjoyed talking about the shared experiences from their classrooms. To continue to improve with our implementation of Kagan Cooperative Learning structures, we had a Kagan coach come to work with our teachers 6 times during the year. Teachers were eager to work together to learn effective techniques to plan and teach engaging lessons.